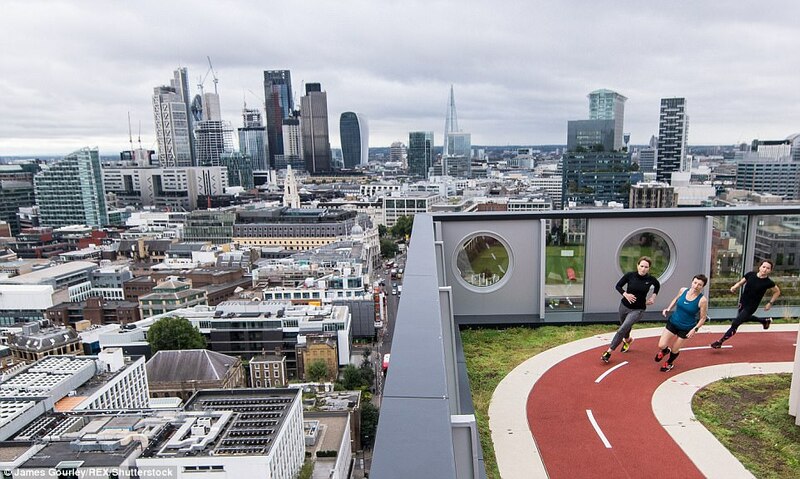 Many bosses wonder how to motivate staff to go the extra mile and this building in London might have finally found the answer. 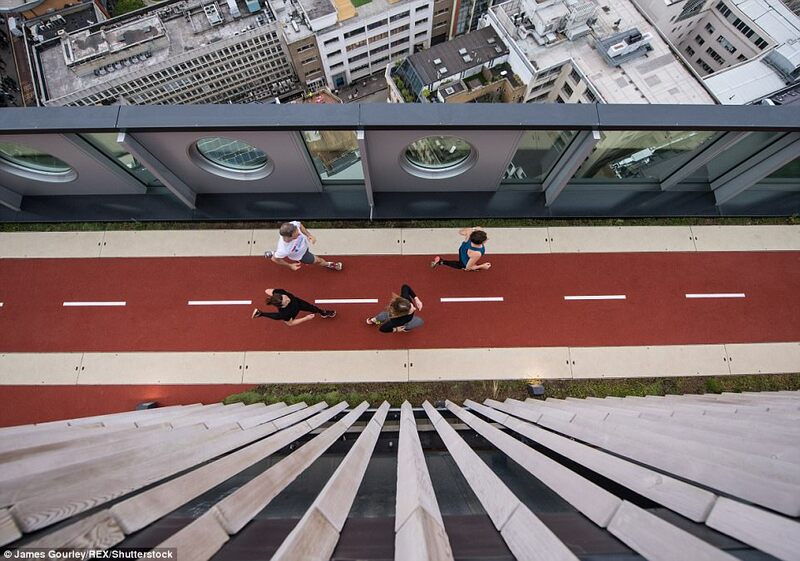 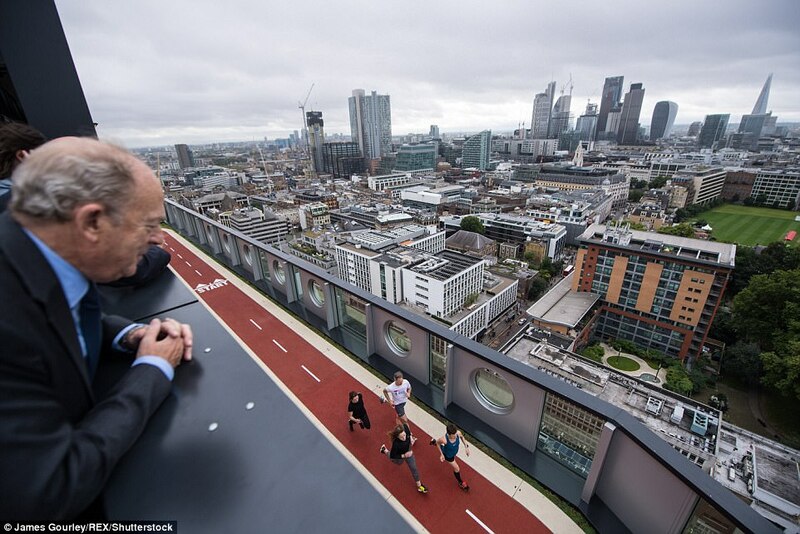 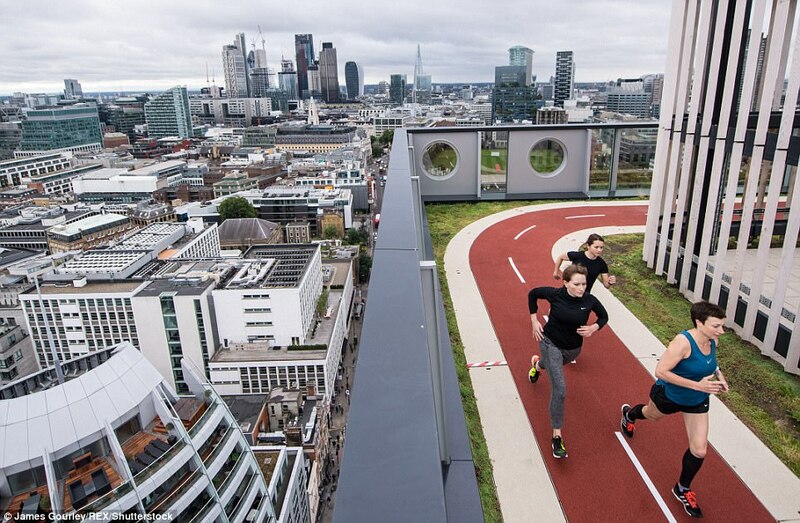 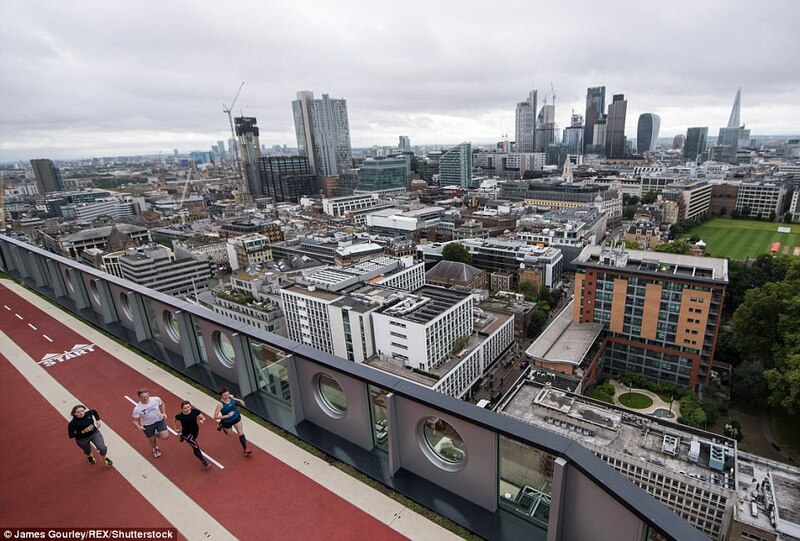 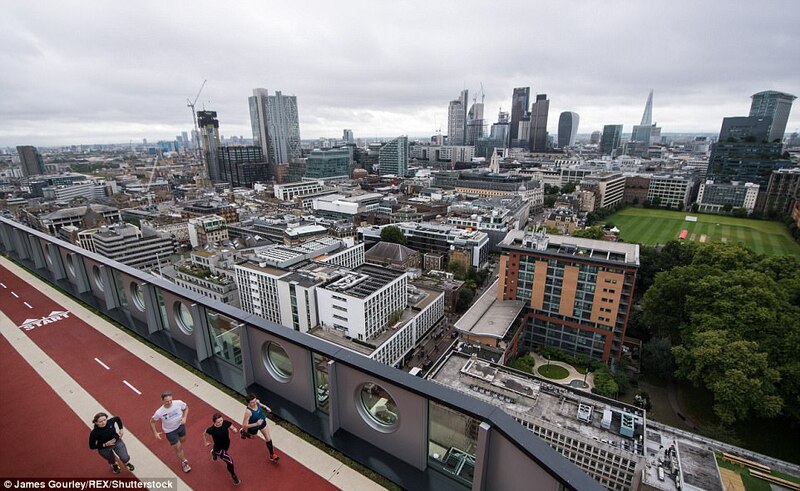 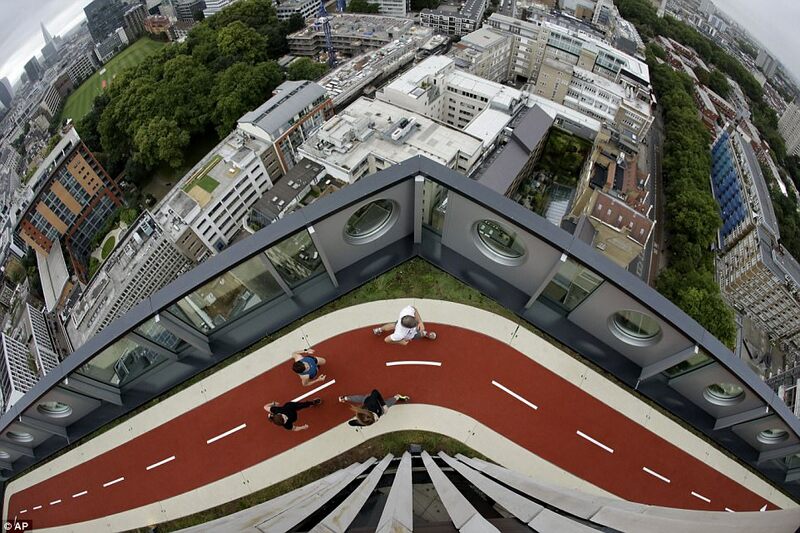 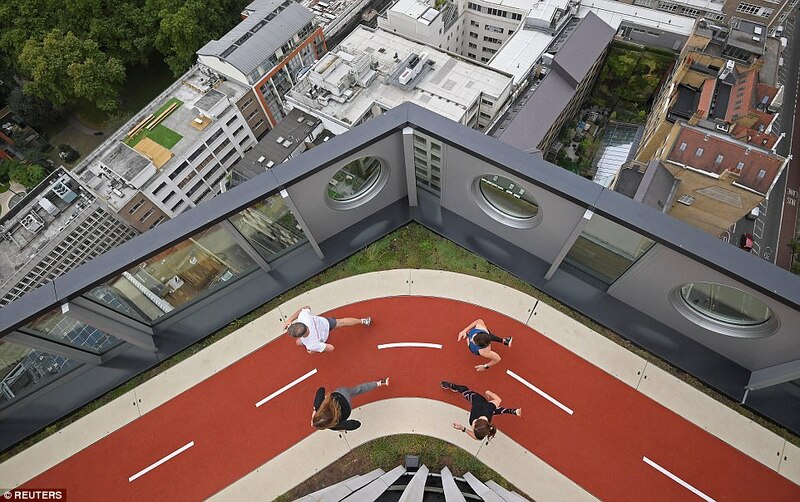 The 230ft-high running facility at the White Collar Factory development is the highest in the capital. 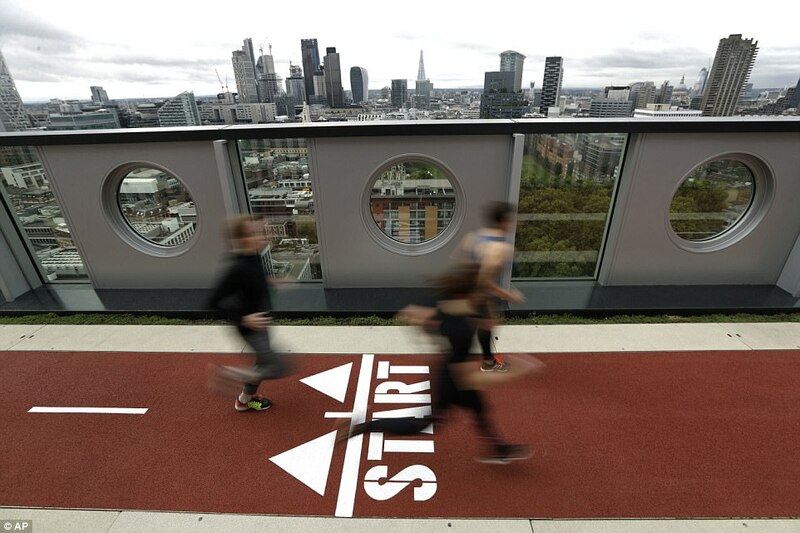 The two-lane track, designed by architects Allford Hall Monaghan Morris, is marked out with a start sign and lanes. 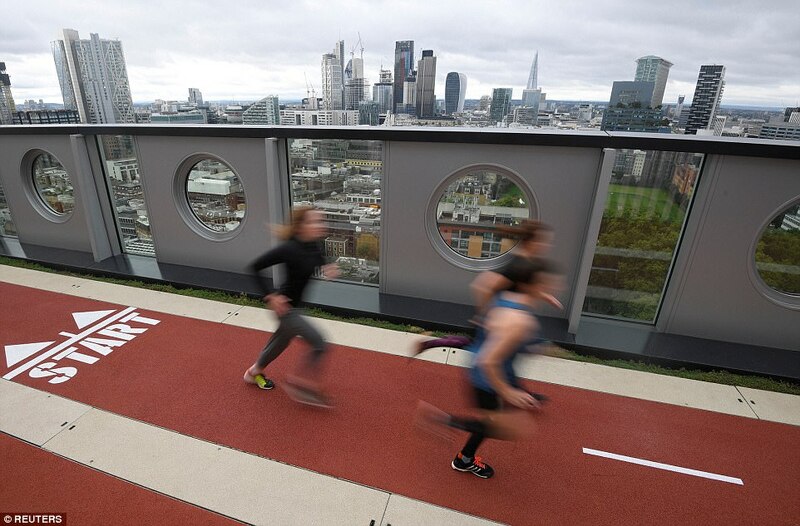 Runners will have to follow arrows on the track anti-clockwise to avoid bumping into each other. 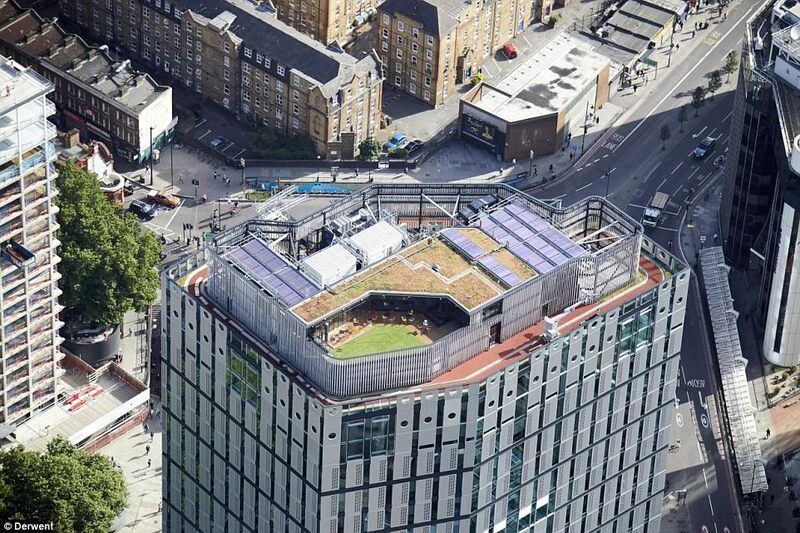 Benjamin Lesser, development manager of the Old Street building's developer Derwent London, said: 'As far as we're aware this is the first in central London,' according to Metro. 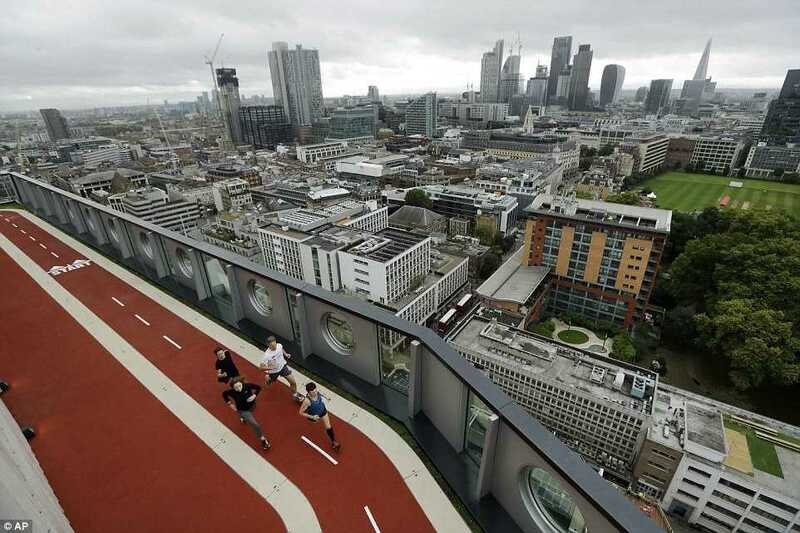 Runners will have to complete more than 10 laps of the track for a mile, while a full marathon would require 281 laps.